We believe every couple deserves their very own special dream wedding! 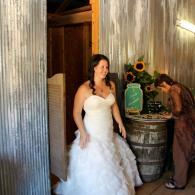 At Hidden Valley Weddings, it is our mission to provide beautiful and FUN barn loft weddings. 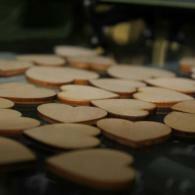 Every event is custom tailored to your personal vision and carried out with perfection. There is no other place like this in the entire area of Eureka Springs, Arkansas! 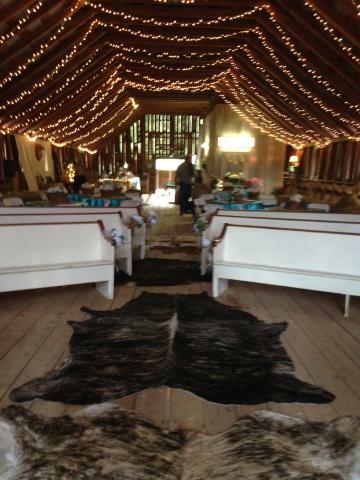 The rustic yet elegant beauty of our historic Hidden Valley Barn will leave you and your guests enchanted. 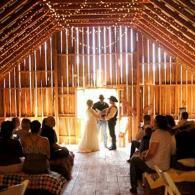 The Barn Loft creates a wonderfully unique experience to remember! It Is Like ... Magic! Hidden Valley got its name from this view. It can only be seen from select places on the property. Once you are here, you feel a hundred miles from anywhere! 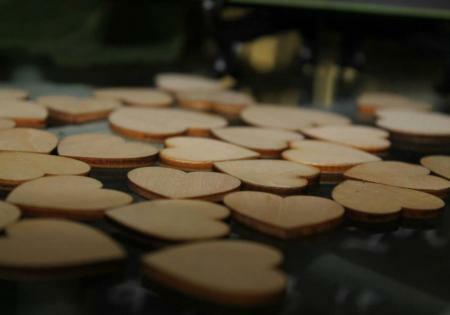 You will love your wedding for up to fifty people! This is the ultimate, all inclusive wedding and honeymoon package for families who want a great wedding, but who do not have time or experience in how to make it happen! This is the package you need for a worry free preparation for your wedding day. It comes with a two night honeymoon! An informal and personal wedding you can book by choosing the "From This Moment" package. Ceremony and reception included in this package is for up to 15 guests. Within this package we will arrange music, the minister, the bridal bouquet, groom's boutonniere (both of course matching). Also enjoy a two tiered cake, coffee, lemonade or sweet tea. One of our wedding hostesses will serve. This package includes a wedding ceremony and reception for up to thirty guests. 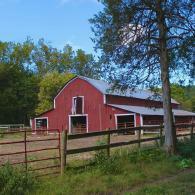 Our rustic barn will be a unique and special location for your wedding event. On top of all this, a two night honeymoon in our comfortable yet romantic cabin is included! Also included in the package are: the minister, music, the bridal bouquet, a three tiered cake, coffee, lemonade or sweet tea. Our wedding hostess will be there to serve you and your guests! This is a wedding and honeymoon all in one! Don't throw it away on a JP at the Courthouse! We can arrange a private and romantic elopement ceremony for just the two of you in the privacy of your cabin. Dress as casually or formally as you like, and the wedding hostess can take pictures with your camera or cell phone so you can share your ceremony with loved ones afterwards. This package includes two luxurious nights in a secluded honeymoon cabin with a full kitchen, wood-burning fireplace, Jacuzzi for 2 and more! 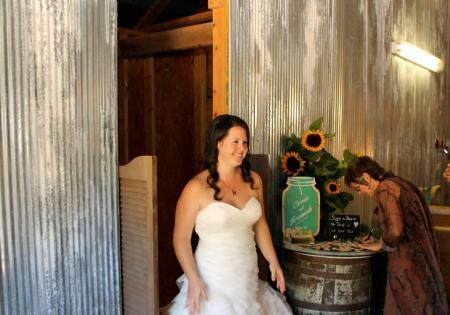 Your wedding day should be a special moment in time that you will cherish forever and what better way to celebrate that time of your life than with a stunning barn venue and cabin honeymoon retreat! See photos below of happy couples sharing their significant day with us.